PORTUGUESE medic Carlos Placido de Sousa was exiled to Britain following a daring prison break in January 1960 which freed the leadership of the Portuguese Communist Party. A quiet man, tall, bookish and modest, it was De Sousa who both procured the drugs used to immobilise the guards in the fearsome Peniche fortress and drove one of the getaway vehicles. With the notorious PIDE secret police on their tails, the revolutionaries went underground and into exile. 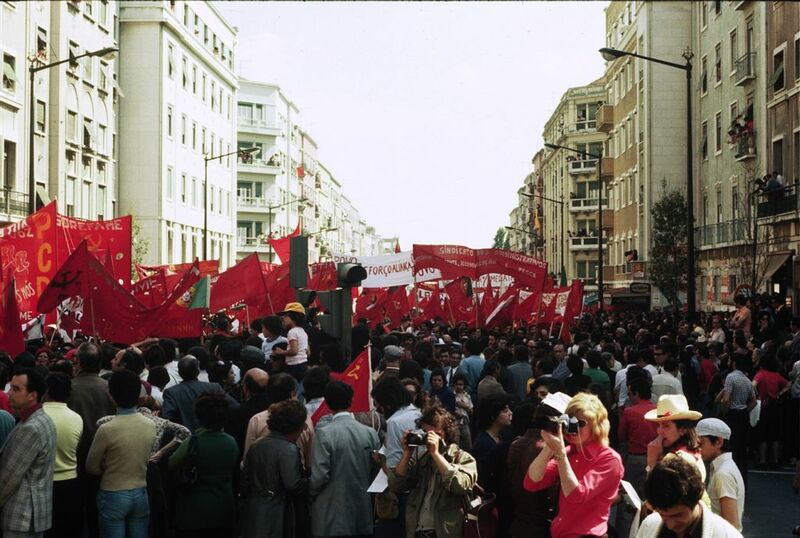 For years De Sousa led the work of the PCP in Britain and edited the internationally renowned Portuguese and Colonial Bulletin which was the English language voice of the PCP’s strategy which culminated in the April 25 Carnation revolution. On the eve of his return to Portugal, and following a tumultuous period of revolutionary change — not only in Portugal — De Sousa gave me a fascinating account of his revolutionary experience including a period when his comrades, including future leaders of Portugal’s African colonies, would meet in his family’s Lisbon home one storey below the Lisbon apartment of the PIDE chief. I was startled by his insistence that, in his opinion, the prospects for profound revolutionary change were greater in Britain and the United States than in Portugal. His reasoning was clear, objective and, for this most passionately committed of revolutionaries, quite unsentimentally rational. Quite simply, the intensity of the contradictions arising from the crises of advanced capitalist countries and the balance of class forces, for him, were the most significant factors. And his estimate was that the resistance of imperialism would be greater with the transformations correspondingly far-reaching in the most developed capitalist countries where monopoly power was most concentrated and the antagonism between monopoly power and the mass of working people most intense. He knew that the revolutionary process in Portugal was under assault and, indeed, within a decade and with the changed balance of class forces globally, it was rolled back. Counter-revolution, he argued, would not present itself transparently as defenders of the capitalist order or as the representatives of the extant Portuguese clerical fascist state but dressed in a variety of “progressive” guises. He referenced the anti-communist street violence of the religious right but also the repeated betrayals of the West German-sponsored Socialist Party and the anti-working-class politics of Portugal’s upper-class student Maoists — but most importantly economic pressure exerted by imperialism. 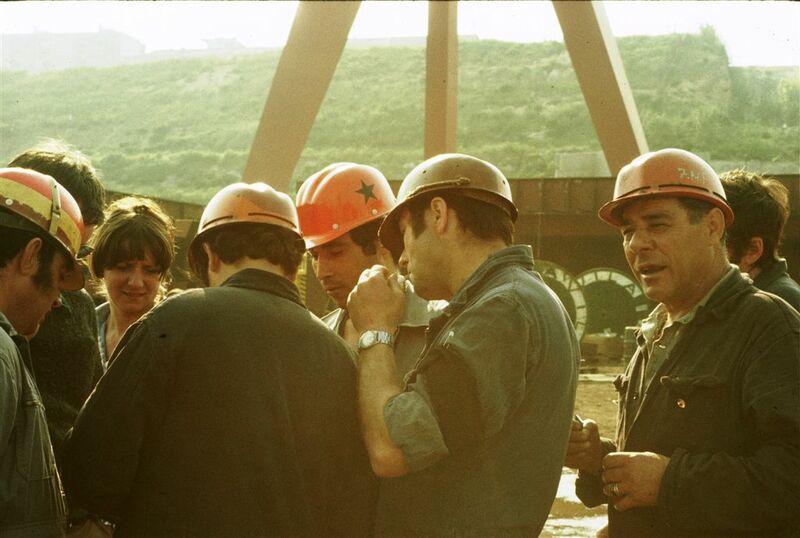 The land reforms, nationalisations and social advances won by Portugal’s working people were rolled back in tandem with an increasing integration into the EU. The Maoist student leader Jose Manuel Barroso’s grotesque politics saw him transmogrified into prime minister, president of the European Commission and now chairman of Goldman Sachs International. Does any of this have a contemporary significance? Does it cast any light on issues which confront the working class in our country? At the theoretical level, an unremitting focus on the actual development of capitalism is clearly the foundation of clear thinking. Practically, we have the experience of British capital’s response to its crises in its austerity regime, along with the resource wars of the last decades which mark its persistent bids to remain an imperial power, albeit a junior one. At this immediate moment, we see the desperate manoeuvring of the banks and big business to remain integrated into the European capitalist order. De Sousa would not be surprised to see sections of Labour and of the ultra-left singing from the same song sheet as the owners of capital. And nor would he be surprised at the mobilisation of the middle classes as an auxiliary force of the big bourgeoisie, no matter how innocent their slogans. He always argued for the necessity of a fully rounded analysis of the capitalist formation, its colonial atrocities and wars, as well as its drive to modernisation, the concentration of capital along with the constant reorganisation of production and exploitation. We are compelled to pay attention to what is actually happening in the way the neoliberal capitalist order works. The global financial crisis casts a long shadow over a persistent recession and great unpredictability in both the economy and politics. Every aspect of life, both our social existence and our domestic lives, is shaped by a financialisation in which our housing, pensions, public transport, social provision, education, health, water, gas and electricity and almost everything we need to buy are owned by entities conceived by their corporate owners as financial assets to be traded and available as revenue streams for speculation and only incidentally, for the provision of goods or services. In tandem with this there are low and uneven levels of investment in plant and machinery, lopsided research and development skewed towards military production, uneven investment in education and training, leading to skills shortages and driving a discriminatory migration policy, all tied in with a free market regime policed by the institutions of global capital, the EU, the IMF, World Bank and a carpet of trade agreements and enforced by military alliance. Big business is quite unsentimental. For example, no sooner had the EU agreed to a trade deal which allows for tariff-free entry of vehicles manufactured in Japan, than Honda announced the closure of its Swindon factory. The innocent blame the factory closure on Brexit but it was the EU which negotiated the deal. For big business and the European Commission the car workers of Swindon, in or out of the EU, are roadkill. Despite the arrogance that wealth and ownership confers, the increasing nervousness of our ruling class and its intellectual outriders is sharpened by many-sided crises of their system. The ideological triumphalism which accompanied the dismantling of socialist state power, and which is expressed as an enthusiasm for free-market ideology, now coexists with an increasing reliance on the state. The bit-more-than three post-war decades which saw the British working class, as a whole, advance its living standards was accompanied by rising wages and accompanied by an unprecedented broadening of the social wage embodied in the creation of the NHS, universal state education and the raising of the school leaving age, an opening to higher education and a nationwide system of public housing. The provision of basic services, gas, electricity, water, transport and social care became public responsibilities administered by public bodies or local authorities. The generation that once left school at 13 to a life of uncertain employment and certain war, had to part with cash to see a doctor, lived at the mercy of slumlords and rarely encountered a university graduate in their personal circle is now passing. Meanwhile, the post-war generation which saw full and reasonably secure employment and housing, comprehensive schooling and the chance of a higher education for themselves and their children see the foundations of the social wage eroded by privatisation. The post-war reforms were the raison d’etre of social democracy. Their speedy inversion, under the Blair and Brown regimes, and of the values that accompany them, should not blind us to their real importance to millions of working people. Tory and New Labour governments share responsibility for dissolution of the social wage and the recommodification of our public services. That host of Labour politicians and trade union leaders who saw PFI as a smart way of complying with the EU’s public expenditure restrictions by getting such spending off the books now pass over the episode in silence or reinvent themselves as pioneering opponents of such privatisation. The height of absurdity was reached under Gordon Brown’s premiership when the state, which had divested itself of a host of functions to the supposedly infallible workings of the market, mobilised its entire resource (our money) to rescue the banks which were failing as capitalism underwent its most profound crisis in decades. The state — through taxation policy, benefits cuts, cuts in council budgets, etc — is the main instrument for enforcing the austerity policies through which the bourgeoisie anticipates recovery. But precisely because of the failure of the bipartisan policies shared by Tory, Lib Dem and New Labour there is a chance that this state will soon be in the stewardship of Jeremy Corbyn and his ministers. What they do with the sliver of power that this gives them will tell us a lot about the way class power is exercised. For unless such a government can count upon the political support and mass mobilisation of millions of working people it will be able to do little beyond measures to mitigate the worst excesses of austerity and could succumb to the pressures the neoliberal order can exert when a transgressive government runs up against the entrenched power of capital in a globalised economy. We have the example of Denis Healey’s surrender to the IMF or the fate of the Syrizia government in Greece. We also have the example of September 11 1973 when neoliberalism’s trial run commenced with the violent overthrow of Salvador Allende’s broad left experiment in Chile. In the last election, Labour saw its vote soar as people became aware of its manifesto. We shouldn’t discount the attractive power of personality in politics but the solid foundation for Labour’s advance must be the hopes aroused by a detailed policy which tackles the everyday problems of working people. The prospect that such a government might actually implement its manifesto depends principally in the extent to which the working people of Britain can be mobilised in support of the government and their involvement in carrying through the changes. It is here that even a relatively modest set of policies designed to restore the foundations of security for working people has the potential to mobilise millions but also set in motion the forces that see the danger for privilege and profits that such a movement entails.